Osteopathy Mumbles: Osteopathy Treatment in Mumbles, Swansea Sa3 – What is osteopathy? Osteopathy is a form of manual medicine that recognises the important link between the structure of the body and how it functions. It is a safe and natural approach to healthcare that can be used to alleviate pain, increase mobility, and improve general well-being. Osteopaths use their hands to identify any points of weakness or excessive strain throughout the body. Treatment is gentle, and osteopathy uses a variety of techniques that can be tailored to suit all ages. Techniques are selected depending on the requirements of the individual patient, and may include muscle and connective tissue stretching, rhythmic joint movements or high velocity manipulations, to help improve the function of a joint. Gentle releasing techniques are often used especially when treating children or elderly patients. 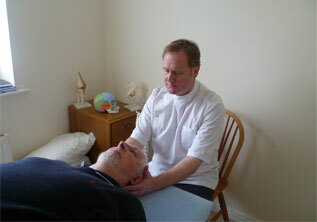 Cranial osteopathy uses very gentle techniques to identify and correct mechanical disturbances and limitations both in and around the joints of the skull. All osteopaths will have undergone extensive treatment over a four to five year period, leading to degree status. They are legally licensed to practise, and they follow a strict code of conduct. It is illegal for any therapist to use the title ‘osteopath’ or ‘cranial osteopath’ unless he or she is entered onto the statutory register of the General Osteopathic Council.